Between staying true to my new year's resolution of volunteering at the local gallery and playing family nurse to kids with the flu, I can't say it's been a boring start to 2013! I gained so much personal satisfaction creating a portrait for my sister in law at Christmas, I was excited to get custom requests after the holidays. 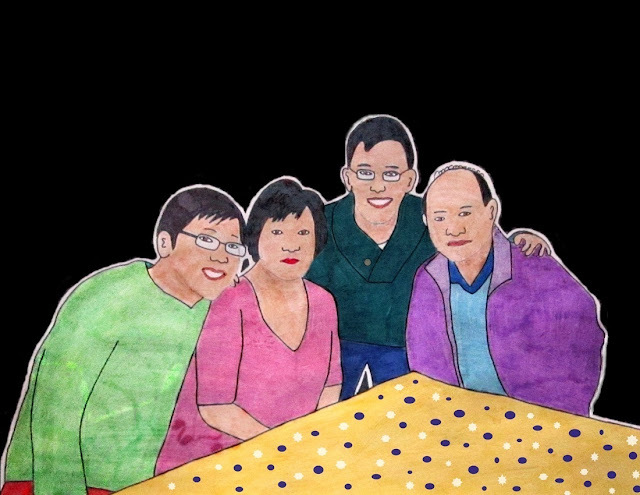 Looking back, the time I spent on these custom family portraits at the art desk was definitely much needed quiet time to myself. 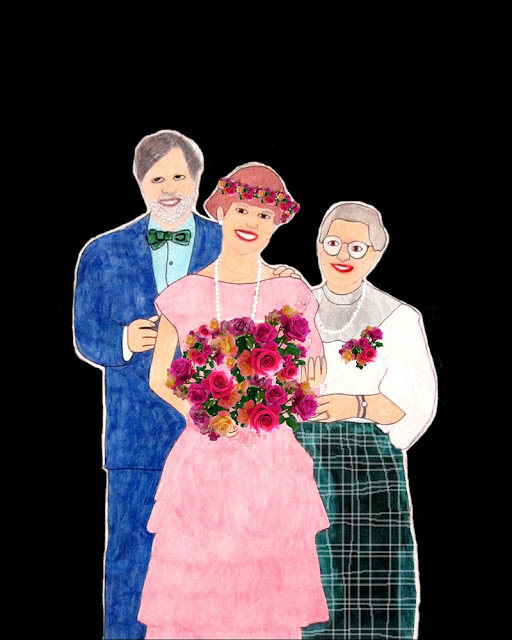 The latest one was also a joy to work on...each family member becomes a personality for me as I work. Wow, these are amazing Melissa! I haven't seen anything quite like it! Lovely creations! I especially like the first one with the colourful flowers. I bet the families were all ecstatic when they saw them, they look so great! These look great! Custom work is so fun! I love these! How fun would they be to hang on the wall. Beautiful and a very sweet thing for a family to have. Beautiful work! I believe that custom portraiture is a great way to challenge yourself and grow in your art really fast! 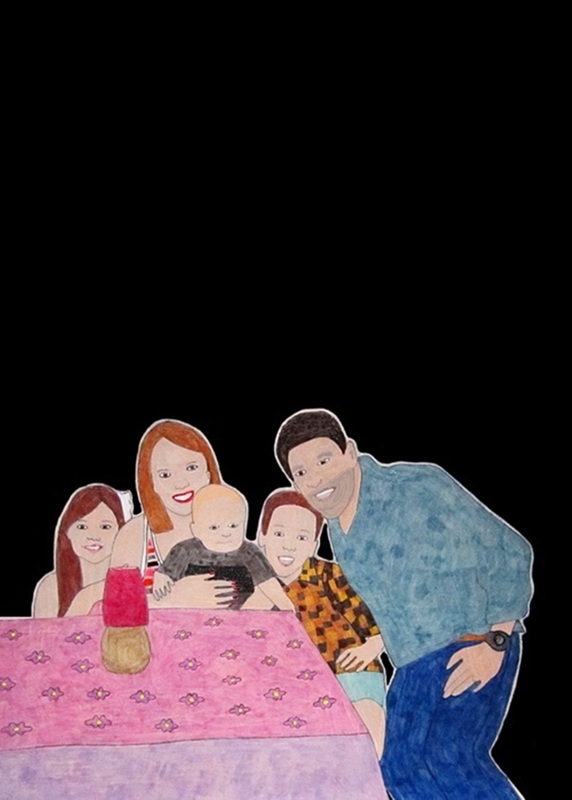 I loved Krisha's family portrait when I saw it on her blog. Oh thank you so much for your beautiful feedback...much appreciated...I've been so enjoying creating these little portraits! Those are so fun. I'm sure the families were really pleased with them! Melissa, you are so talented! I really love your style. It feels so unique. I'm pretty thrilled that I've just made off with two of your pieces to hang proudly in our home.